Here’s the place to meet in nature! A “crazy good” place to live! There are property locations whose benefits need listing in overviews, tables and lists. Then there are premium sites whose very name is a seal of quality and whose benefits have long been recognized on the property market. They are valued because of their many advantages. Ismaning is one of these! There are few other places where the impressive local history, culture, recreational offering, healthy environment and economic power augment each other so well. More and more people are being drawn to Ismaning and they’re happy to come. That’s because here they experience how a desirable sense of life leads to growth and success, and vice versa. Discover this location and its exemplary status as a role model for a high-quality residence and sense of life. Discover – enjoy – feel great! Experience carefree pleasure. Be seduced by the picturesque landscape, with its open fields and wildly romantic brooks. An evening walk along the banks of the Isar will give your thoughts as much freedom to roam as your legs. Have fun and stay healthy by discovering your new home from the seat of a bicycle. Fascinating cycling paths through the rural district of Erding invite you to explore. Cycle past languid streams, attractive green and rolling hills offering beautiful views. As a contrast, Feringasee is only 15 minutes away, a lake promising fun and relaxation for the whole family: playing, sunbathing, windsurfing or just splashing around. Ismaning offers countless other sporting options for spending your free time: many sports clubs, several sports fields with tennis courts, a boccie court, a skating park and last but not least a fitness trail to ensure that every muscle gets a work out! The community of Ismaning and its 14,700 inhabitants is situated on the right bank of the Isar on the north side of Munich. It remained a farming village until well into the 20th century. The old, stately farmhouses, decorated by lush summer flowers, are still one of the lovely details that make Ismaning special, even though the former farming village has since become a business center with terrific infrastructure. Freedom to move all around! Thanks to its location on the north side of Munich, Ismaning enjoys fantastic transport links. 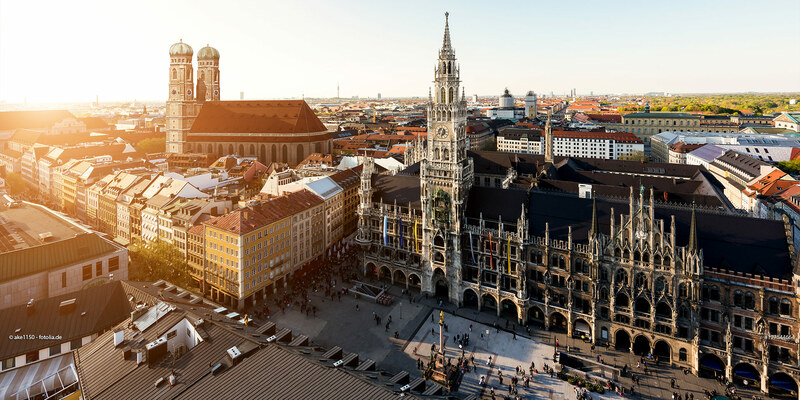 Leave your car in the garage; it’s only a five-minute walk to the commuter train station and a quick ride to Munich’s city center. The links to the autobahns and the airport are all nearby. Even the new Allianz Arena is only a stone's throw away. Because you still have lots of plans! Ismaning to the airport: 13 min. Ismaning to Marienplatz: 25 min. The commuter train line 8 connects Ismaning to Munich and Munich Airport. There’s a parking garage at Ismaning’s commuter train station with a maximum stay of 24 hours. 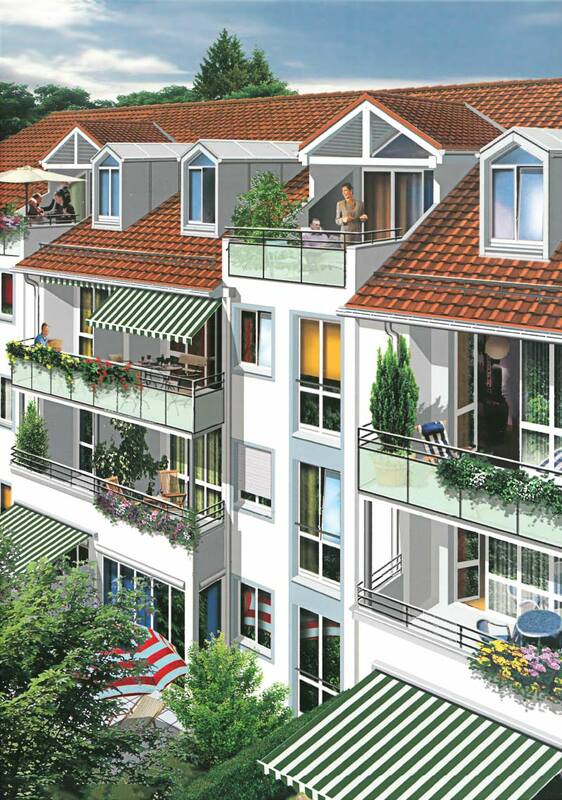 Located on the north side of the Greater Munich Area, between Bavaria’s capital city and the airport. 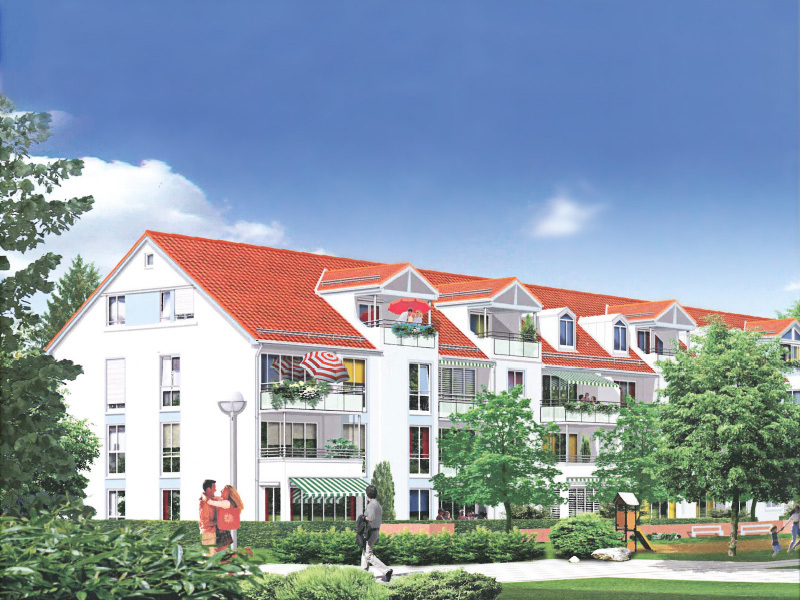 Ismaning is known as a top business center where many large, renowned companies are settled. And there’s a good reason why: the location conditions couldn’t be better! A combination of the kind of home, work and life continues to be the most important criteria when looking for the perfect home. Ismaning spotted the signs of the times. At present, it houses about 2,050 businesses. This development brought more than 10,000 jobs and even more are still being created – though they all share the same principle: quality is more important than quantity. A constant eye is kept on this development to ensure that the special feature of living and working here doesn’t get lost! NEUN LIVE GmbH & Co.